The Industrial Impact Rigger is specifically designed for a rigger. The palm is made of Duraclad for maximum grip and durability with Duraclad reinforcements on the rope channel of the glove to stand up to long periods of handling rope and cable while rigging. It’s lightweight, breathable, and offers full back of hand protection on the fingers, knuckles and metacarpal bones. 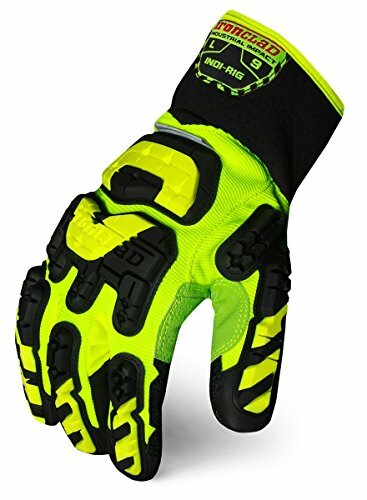 This glove will handle just about anything you can throw at it.